As a former Lead In-Field Coordinator and contributor of much whale shark encounter data, Clara has earned her stripes (and spots…) as a true whale shark hero! Clara comes from a small island in Spain, Mallorca. She grew up spending most of her time in the sea with her father, fishing and snorkelling. Seeing large fish and megafauna was her childhood dream and lead her to an undergraduate in Environmental Sciences and then an MSc in Marine Ecology. 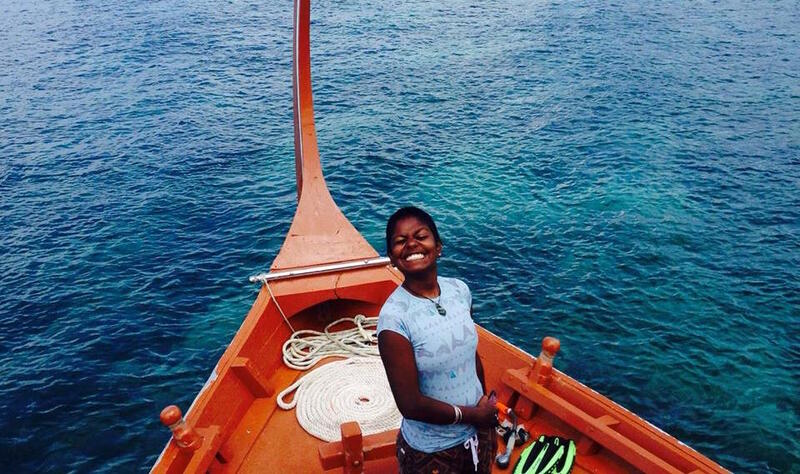 After visiting the Maldives twice, she fell in love with the country and decided that she wanted to come back to help protect the whale sharks and develop sustainable tourism. Clara has participated in cetacean research projects, fisheries management projects and has helped in a chimpanzee sanctuary and veterinary hospital. Until recently, she has been working in nature reserves as a guide, focusing on sustainable tourism and conservation. When she is not working, Clara is travelling around the world on the lookout for megafauna, or at home practicing water sports, hiking or climbing. She will always have one of her multiple cameras on her and when she spends more than a week without being able to see the ocean, she becomes “land” sick. Cameron is originally from Poughkeepsie, New York and received his B.A in Biology with a minor in Environmental Science from Boston College in 20. He has always loved the ocean and knew from early on that he wanted to be a marine biologist. After graduating he decided to volunteer with the MWSRP to get a taste of what field research entails, coming out for a month in 2014 where he ‘fell in love with whale sharks and the Maldives from the very first moment I entered the water’, and the rest as they say is history. Cameron is currently at Nova Southeastern University in Florida completing a joint M.Sc in Marine Biology and Coastal Zone Management. He is, of course, writing his thesis on whale sharks, looking at age and growth from the South Ari Atoll with the data that the MWSRP and our volunteers have collected over the the past ten years. 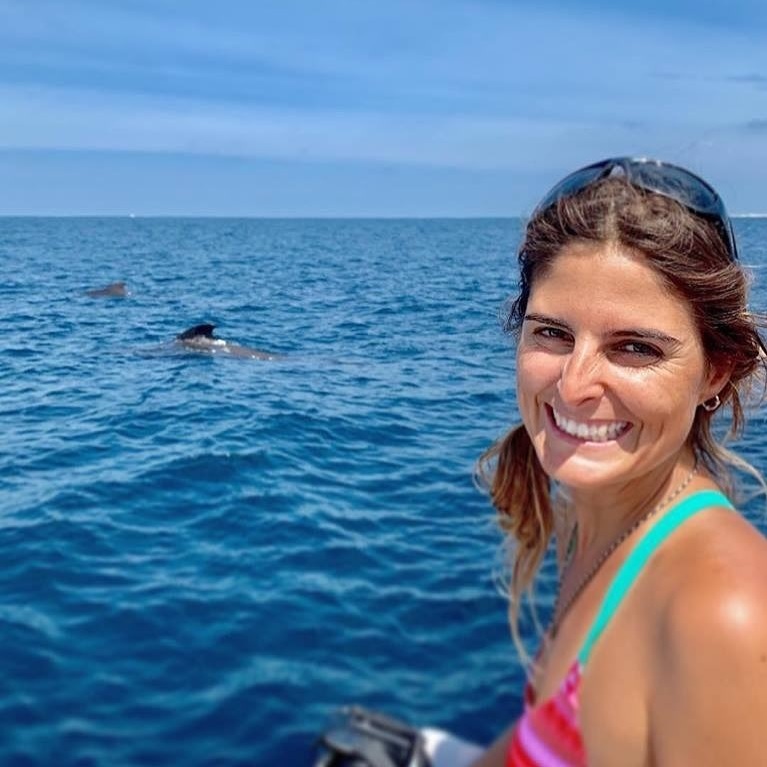 “The sea, once it casts its spell, holds one in its net of wonder forever” this famous sentence of Jacques Yves Cousteau, pioneer of marine research and conservation, is what describes Giulia’s feelings best when she thinks about her time with MWSRP and the majestic giants of South Ari. Despite coming from the centre of the Alps in Switzerland, she has always been fascinated by the secrets that lie within the heart of the ocean. 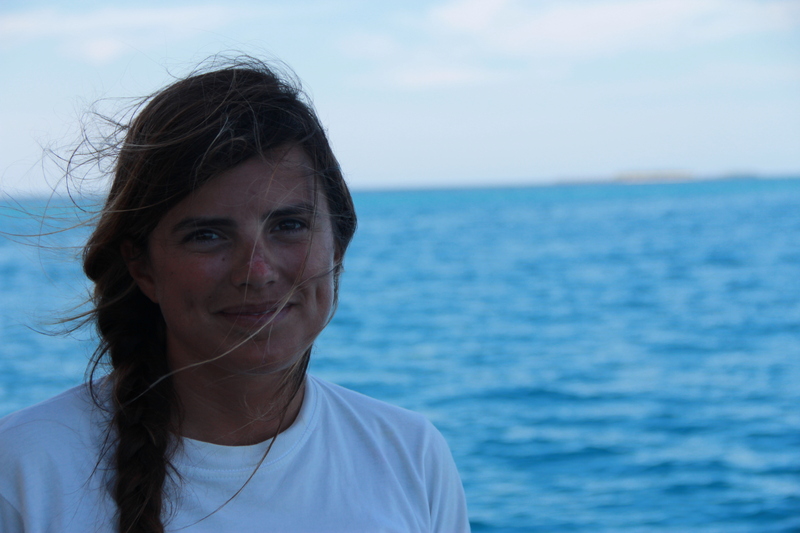 For this reason, she has been involved in several research and conservation projects whilst studying, first in the Mediterranean Sea and then throughout the Indian Ocean. Giulia joined the MWSRP for the first time in 2013 as a volunteer and in 2015, straight after graduating her masters in behaviour, evolution and conservation, she returned to the programme as a staff member. During this period, she became particularly interested in monitoring the effects of anthropogenic disturbance on whale shark behaviour, a topic which is currently under analysis in collaboration with University of Edinburgh. Giulia is currently working on a PhD project with the landscape ecology group at the Swiss Federal Institute of Technology (ETHZ), in Zürich. 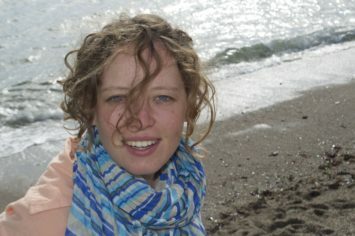 Her project aims at understanding ecological and evolutionary processes shaping fish biodiversity in coral reefs, in order to assess the potential impacts of ongoing and future environmental (both anthropogenic and natural) changes on these taxa and to inform on best management practices of reef ecosystems in future. Although she calls multiple places home, Alexandra spent most of her childhood growing up by the sea in Mauritius and for the last couple of years seems to have just moved from one beach to the next. After a long landlocked stint in the UK studying and then Southern Africa working with terrestrial wildlife, she fell in love with the ocean again when she came out to the Maldives in 2015 to join in with the celebrations at the Whale Shark Festival. This led to Alex leading the field team for nearly two years, during which time her ambition and drive pushed the Programme from strength to strength. 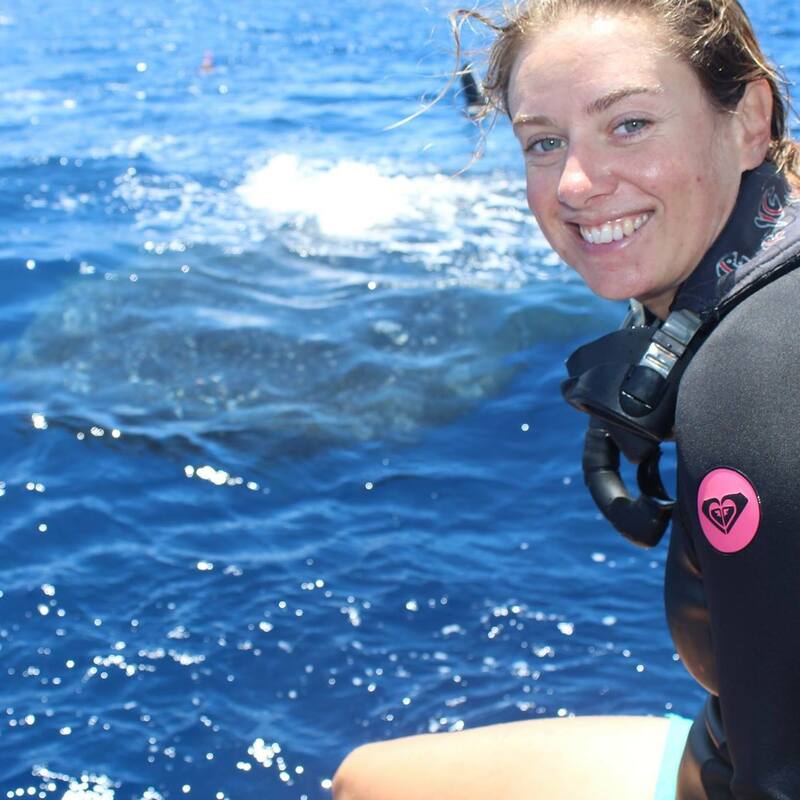 Alexandra has a keen interest in animal behaviour, one which has now led her to a Masters degree back in the UK where of course she focused on whale sharks! As befits her famed energy Alex also runs who own art business, Kauna Art & Photography, alongside her work and studies. Many of you who have volunteered with us before will be familiar with Katie who was our in-field coordinator from 2012 to 2015, and looked after the volunteer process from the initial enquiry right through to the arrival of the volunteers in Maldives and their time with us on the programme. Originally hailing from Leeds in the UK Katie has known about MWSRP since its inception in 2006 as she was on the same University undergrad course as the original founders. Since then she kept in contact with our director Richard before we finally convinced her come out in 2012 and volunteer for 2 weeks during the first ‘Whale Shark Festival’. From there Katie continued to be involved in the programme helping out with the volunteer process before finally coming back out to work in the field and live the dream swimming with whale sharks every day. Over the last few months Katie has been working with the Marine Section on the island of St Helena researching whale sharks in the South Atlantic. A bit of a shock to the system after the Maldives 28-29 °C water, but a fantastic opportunity to observe them in a different environment! 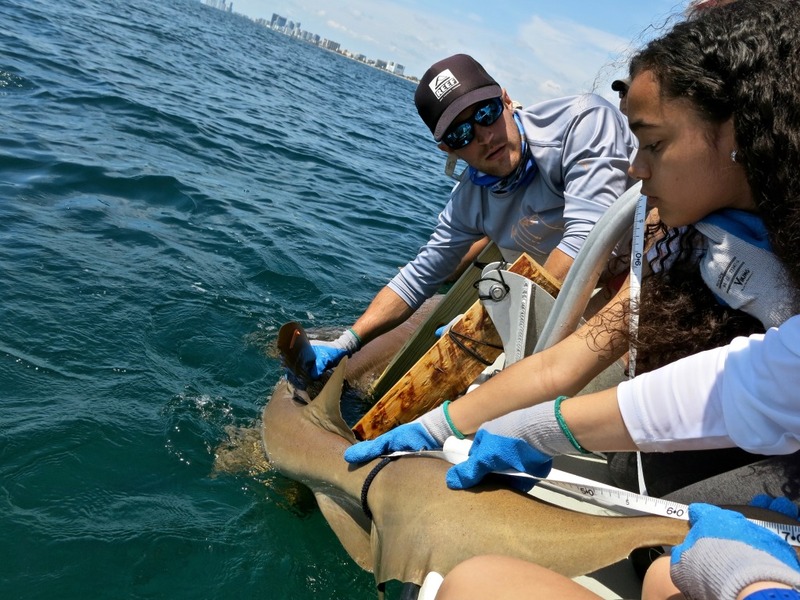 She is currently taking a break from MWSRP to complete her Masters in Marine Biology, but hopes to be back out in the field asap – especially as next time she’s out she’ll be using the data for her own dissertation! 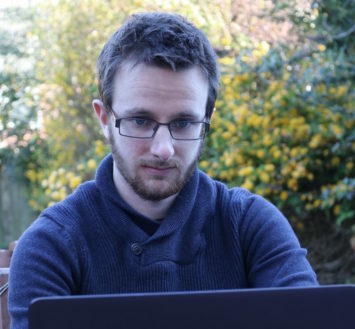 Tom is a software developer based in Manchester, UK. Tom has been interested in wildlife and conservation since childhood. He used to say that if he wasn’t developing software, he’d be working with animals. Now he can say he does both! In 2009, Tom answered a “help wanted” ad for the reboot of MWSRP’s website and has never looked back. He has since developed the programme’s online encounter portal and mobile app which enable resorts and local enthusiasts to contribute encounter data to the programme, as well as connecting with the magnificent whale sharks that roam their waters. He is currently working on expanding the app to include individual photo-ID and encounter submission capabilities so that the team, resorts and citizen scientists can log, ID and share their shark encounters straight from the boat. Rify was one of our very first Maldivian staff who started off with us as a volunteer in 2012. After completing her undergraduate studies in Marine Biology and Aquaculture at James Cook University Australia, she briefly worked as a marine biologist at a resort island before hopping on board with our team in conjunction with the International Union for Conservation of Nature (IUCN). She led an important role in building rapport among SAMPA stakeholders, particularly towards the development of a management plan for SAMPA with the support of the Ministry of Environment and Energy and Environmental Protection Agency. Rify is also one of the co-founders of the programme’s branch in the Maldives along side founders Rich and Jim. Rify now spends most of her time in Australia with her husband (who proposed to her on one of the whale shark trips). She recently finished her postgraduate studies in Environmental Management and Public Policy at the Australian National University. Though far away from home, her love for whale sharks and her home still remains the same as she continues to work on SAMPA and its management issues through her role as a consultant with IUCN.